Welcome to the Wooden Doerr. 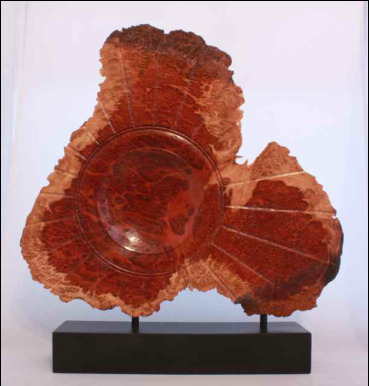 Our primary goal is to create one of a kind or limited edition wood turned art that shows the beauty that God has hidden in His many different trees. To accomplish this, we turn wooden bowls, hollow forms/vases, platters, pens and pendants. Our artwork has been given as gifts to government and business officials in the United States and in other countries around the world. Please take the time to look through our website and enjoy the various pieces of art that we have on display. Below are a few examples of our turnings that represent the uniqueness of our work. For additional examples check out our Product Gallery by clicking on the button at the top of this page. 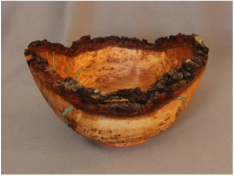 Orbital Impressions I --This unique turning by Steve Doerr is made from a natural edged piece of Red Coolibah burl. It is approximately 9 3/4" at its widest point and about 1" thick. This turning reminds me of a solar system--the bowl area being the impression of a sun and the rings being the impression of planetary orbits. Family--This unique group of hollow forms by Steve Doerr are made from ebonized cherry and dyed fiddleback maple. The tallest piece, "Father," is 13 3/4" tall and 7 3/4" wide. The shortest piece, "Mother," is 10 1/4" tall and 5 7/8" wide. The middle sized piece, "Daughter," is going through a growth spur and is taller than "Mother." She is 12 3/4" tall and 4 7/8"wide. Each piece was first dyed black, sanded back and then dyed teal blue. The high gloss finish on each piece is cyanoacrylate. Gliding--This unique turning by Steve Doerr is from his Stingray Series. It is approximately 8" square and 4" high. 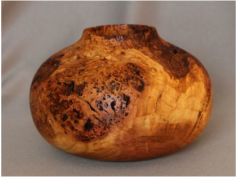 It is turned from a single piece of curly maple burl. It represents a Stingray gliding in the water along the bottom. Orbital Impressions II is the second turning in a series of four that I will be doing from some slabs of Red Coolibah burl. It’s always fun to tell people that Coolibah is a wood that many of us have heard of as kids but really don’t know anything about it. They look at me funny and then I tell then about the song Waltzing Matilda. As in the first one, I continued the theme of having “orbital impressions” around a central “sun.” The piece is 13 ¼” x 7 ½” x ¾”. It has been dipped in a blend of oils and then buffed using carnauba wax. This piece was awarded 1st place in the 3D division at the Sweet Arts Gala and Art Auction in Neosho, MO. The pen shown to the right was given to President Barrack Obama when he came to speak at the commencement ceremony for Joplin High School in June, 2012. The wood used to make this pen came from one of the oak trees at Joplin High School that was destroyed by the EF5 tornado of May 22, 2011 that destroyed approximately 25% of the city of Joplin, Missouri. This pen was given to Governor Jay Nixon of Missouri when he came, along with President Obama to speak to the graduating class of 2012 at Joplin High School. It too is made from one of the oak trees at Joplin High School that was destroyed by the May 22, 2011 tornado. 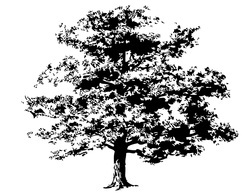 Many of our customers have requested us to make commemorative turnings from trees that were on family owned property. This has allowed many of them to have a keepsake from their childhood home. Below are some examples of these turnings.